I am officially back to selling the NFL hats. I thought I would take a short break from writing patterns to get caught up on some orders and get some hats ready to ship. While working on 2 hats last night - a fantastic thought came to mind for some new patterns...so much for taking a break - lol! So, I will be trying to do both for the next little while. It shouldn't be to hard. I just need to set a schedule and make myself stick with it. This is the most recent addition to the logo set. I had it last year, but never got around to actually making the hat - better late than never - right? BUT - since it's not quite Fall yet - maybe I'm just ahead of the game instead of behind??? - Yep - I like that thought better! These sell for $20 + shipping and I offer free shipping for orders of 2 or more. These 2 hats are for a custom order. As soon as I get everything I need for the logos - they will be "Duck" hats! I was able to upload the Emerald City Flower patterns to Craftsy and Ravelry tonight. They are not "unique" to other flowers by look, but they do use the same stitch as the Emerald City dress so I thought they should be free. of the skipped stitches of round 1. Sl St in Ch 1 of beginning of row to connect. Fasten off leaving a tail long enough for stitching. around the smaller petals and securing them to the center. This week, I will be releasing the Child size pattern for the Emerald City dress. I have a few photos of finished dresses back from testers in these sizes and they are looking pretty cute! I will be teaming up with Jonna from Frayed Knot to offer a pkg deal on our patterns. 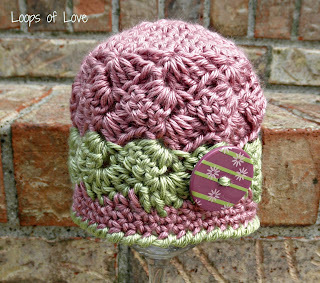 It will include her "Addie" hat pattern and a choice of 1 size (infant, toddler or child) Emerald City pattern for $6. Together, they make a beautiful set! This weekend, I was able to do a quick pkg deal with Lisa from Loops of Love. She designed an infant bonnet called the "Cora Couture bonnet" wich is fantastic with the infant size dress! Her pattern is available here: Cora Couture on Craftsy. 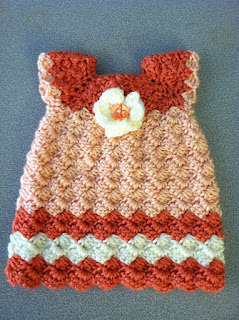 The flower on the pink dress is my pattern and I will be offering it for free later this week. I will post a link to it as soon as it is available. Can I just tell you now - I LOVE what I do! It has been stressful at times. It is NOT by any means fun or easy to deal with people who offer to test patterns and then do not actually produce the product. It is also not easy to try and work with some testers who get defensive and "KNOW" that they are right and I am wrong about my own pattern. BUT - When I get to see photos of some adorable little girls wearing something that I designed - It makes my day everytime! The look on their faces is priceless. This pattern has been a huge hit with the testers and the little models. I wish I could show you the photos, but I don't have permission at this time. I can link you to a few pages of the women who did test for me. There are a few photos of their work posted there. 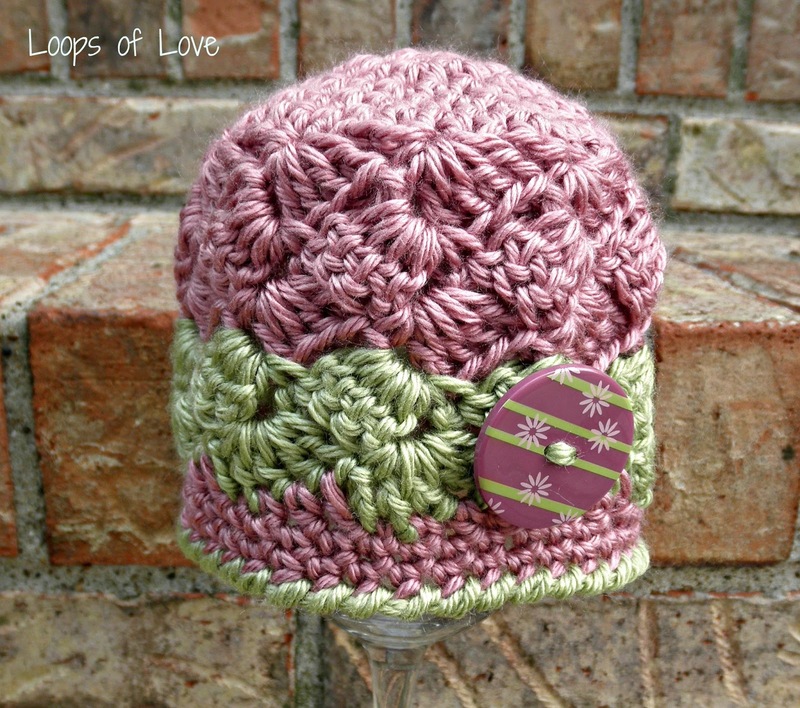 Jonna from Frayed Knot designed a hat to match this pattern and it is darling. Happy Saturday everyone! I can say that, because I have finally finished the Emerald City Infant pattern and I believe I have figured out the sizing for the toddler patterns :) :) Oh Happy Day!! Oh Happy Day!!! Craftsy Emerald City Pattern. It is on sale for $4 for 1 week and will be changed to $5 next Saturday. 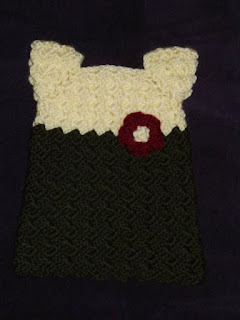 This is the link to the pattern on Ravelry: Ravelry Emerald City Pattern . The price on Ravelry will be adjusted at check out. Also, for those of you who are interested, on Ravelry only, if you add 3 patterns to your cart, the 3rd one will be adjusted to free at check out automatically. I can't wait to release the toddler sizes because I have a few other ideas just waiting to burst onto paper. One of those ideas will be generic, so even baby boys can wear it! Woo Hoo! Have a wonderful rest of the weekend my friends. Happy Thursday everyone! It has been a good week here. Monday, I watched my 2 nephews and received a cute little call from 1 of my nieces asking if she could have a sleep over...How could I resist? I love my family! When my niece went home, they took my oldest daughter with them for the week. Brodie had the day off today, so we took the girls to a local park/small zoo that they like. They get excited to see each new animal and feed the fish. Brook just informed me that I'm "the bestist mom" It all makes life worth it - doesn't it? So, on to some crochet news :) I am so happy to say that I was able to pick back up the Emerald City dress pattern. Sometimes setting a project down for a while is not a bad thing. I made a few small changes to what I had previously written and love it even more! The infant sizes are almost through the testing phase and I will be releasing the pattern on Craftsy and Ravelry this Saturday. Right now, I have a Pre-Sale running. You can get the pattern for only $3 during this sale. Once the pattern is released, it will be $5. It is slightly more difficult than the Basic dress patterns, but not as difficult as the Angelique. 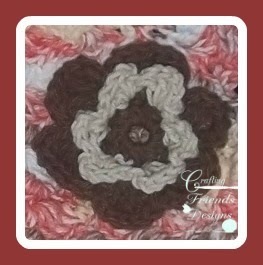 If you know the basics of crochet and how to read a pattern, you should still be able to work this one up. Also, for the first time, I decided to try the pattern in Cotton along with Simply Soft. 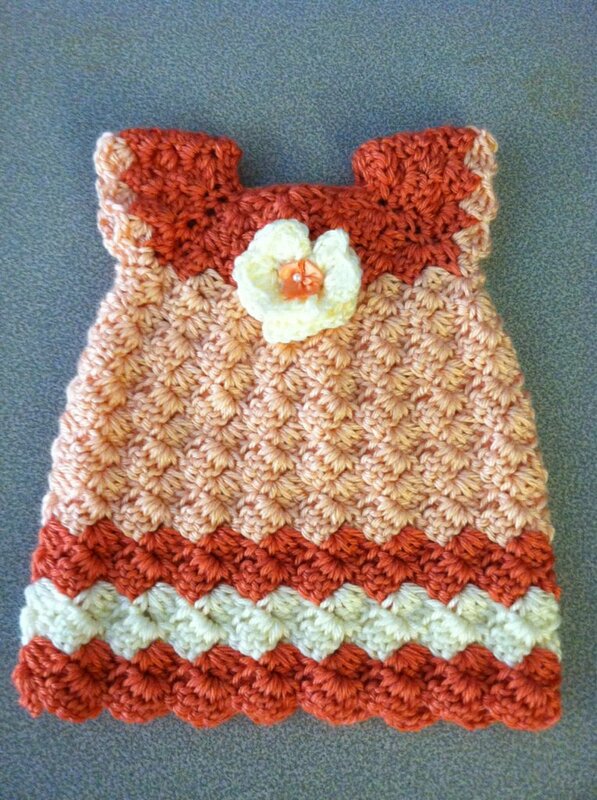 To my surprise, Peaches & Creme cotton worked up the same and with beautiful results also. 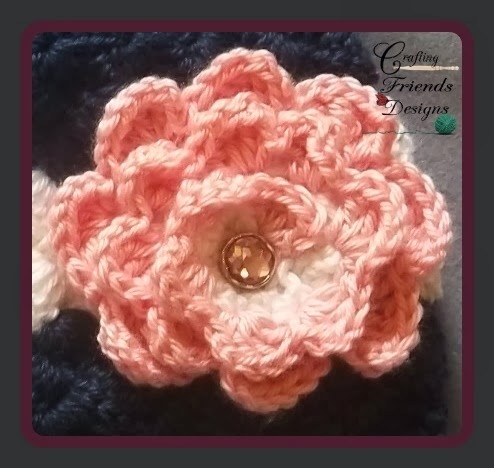 To Pre-Order the pattern, just email me at craftingfriends4you@yahoo.com and I will send you an invoice...OR, you can comment on my FaceBook page Crafting Friendswith your email address and I can track your order that way. Which ever works best for you. Here are the 8 dresses I have been able to complete over the last week and a few others are by testers.